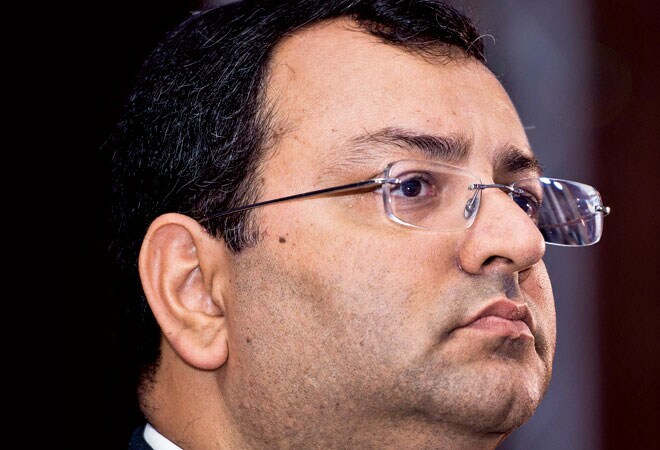 Can Cyrus Mistry stage a recovery for Tata Motors? Can Cyrus Mistry reinvent Tata Motors? Sliding passenger vehicle sales, humongous debt and growing competition have dealt a body blow to Tata Motors in India. The company has chalked out an ambitious plan to get back on track. Can it stage a recovery? It happened a few months after Cyrus Mistry took over the reins of the Tata Group. At the annual general meeting of Tata Motors on August 21, 2013, a gaggle of shareholders took the company management to task for the poor quality of the company's passenger vehicles (PVs). The technology used by the company appeared obsolete, they chorused. It was food for thought for the new group chairman. There were obvious reasons for the angst of these shareholders. Most of the company's PVs were struggling to hold their own against competition in India. Take the example of Indica, considered India's first indigenously developed passenger car. Indica was never a match for vehicles from fleet-footed rivals, including Maruti and Hyundai, who constantly introduce cutting-edge technology and resort to high-voltage marketing to push sales. Some of the new offerings by Tata Motors - like Zest and Bolt - do offer the latest in technology (including diesel engines developed by Fiat) but are competing in a crowded market. As a result, Tata Motors' market share of the Indian PV industry has tumbled in the past decade, from 17 per cent to about six per cent now. In fact, it's the iconic British brands, Jaguar and Land Rover, acquired by Ratan Tata in 2008, which are financially helping the Indian carmaker to stay afloat. The company also continues to dominate in the commercial vehicle (CV) market, with a market share of about 55 per cent, but the past two years have been tough for the segment with the economic slowdown impacting business. Can Mistry script a turnaround story for Tata Motors? It's the PV business that requires his urgent attention. He has his task cut out and has chalked out an ambitious plan for the revival of the company. On the cards is an expansion of Tata Motors' footprint in the country by adding more dealerships. The company is intent on capturing a much larger share of the rural market where it has a small presence. Also, it will roll out a slew of new launches over the next few months. Plans are afoot to offer the latest in technology to take competition head-on. Mistry knows there are many things that need to be set right at Tata Motors. With this in mind, he hired Mayank Pareek, one of the most sought after auto industry professionals, as the president of the PV division. Pareek was the chief operating officer of marketing and sales at Maruti Suzuki for over 20 years and was behind the company's drive into the rural markets, launching mobile vehicle servicing units in remote regions. Pareek's primary focus is on boosting the dealer network of Tata Motors: "India is spread over 650 districts and 5,500 tehsils. But our footprint is limited." The company has just 460 dealerships in the country even though it is one of the oldest auto companies in India. In comparison, Maruti has the largest pan-Indian service network with 3,060 outlets. Even a relatively new entrant like Nissan has 160 dealerships in the country. Pareek plans to triple the dealer network to 1,500 in the next four to five years. "We are coming out with the concept of mobile services, which is piloting in Delhi and Mumbai. We will scale it up across India once it's ready. Effective and cost-effective service is important for creating loyal customers," he says. Rural India is another big and, as yet, untapped opportunity for Tata Motors. At least 30 to 40 per cent sales should come from the rural market, believes Pareek. Rising prosperity and infrastructure creation in India's towns and villages have created a big market for car companies, he adds. But the going won't be easy as Maruti and Hyundai have stolen a march over others in the rural markets. Indian carmakers will need to raise their after sales service standards to differentiate themselves from the competition, according to Rakesh Batra, Partner and National Leader, Automotive Sector, Ernst & Young (EY). "It's time to bring fast-track service facilities, which is prevalent in the western world. Here, operations of dealer networks are below par, compared with the global standards," he says, adding that parts inventory management and workshop facilities need to be improved. It is an important learning for Tata Motors. Meanwhile, for a long time, the company was selling cars to fleet customers, such as taxi operators and hotels, who have different priorities. A fleet customer looks for deals while individual car buyers focus on products and services. "So, we are improving the networking skills of employees, especially while selling cars to individuals, families and professionals," says Pareek. Pareek and his team have been striving to raise the company's standards on all fronts including product quality, customer service and manufacturing. He appears satisfied with the outcome. In June 2015, Tata Motors' passenger business grew at a robust 12.5 per cent. The industry actually shrunk by 0.54 per cent in the same month. "We are on a growth trajectory and will continue to grow every month," he says. But not all numbers are impressive. Tata Motors' net profit for the fourth quarter of 2014/15 fell 56 per cent - worse than expected -and India's largest automobile company by revenue also held back dividends for the first time since 2002. While the company's consolidated revenue rose 13 per cent to Rs 2.6 lakh crore in the last financial year, profit remained flat at Rs 14,073 crore. In a body blow, the Indian unit made a standalone loss of Rs 4,739 crore - largely a consequence of the bleeding PV business. But JLR recorded an 8.5 per cent rise in profits to 2 billion pounds (nearly Rs 20,000 crore) despite slowing demand for luxury cars in China. Tata Motors' PV products have failed to create an impact in India and that is the primary reason for its financial woes, according to V.K. Vijayakumar, Investment Strategist, Geojit BNP Paribas Financial Services. "They thought they could piggy ride on Nano for growing the numbers in the first half of this decade. But all their efforts to revamp Nano (with models like Twist) failed to attract buyers." 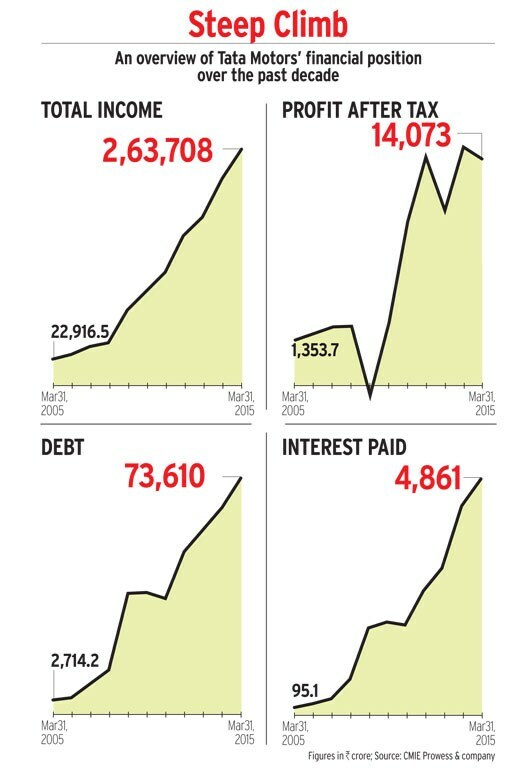 A gross debt of Rs 73,610 crore in 2014/15 is the other major worry for the automaker, a steep rise from Rs 60,642 crore in 2013/14. This was largely because Mistry was advised to persist with capital expenditure (capex) plans for turning the wheels of fortune in the company's favour. The capex and product development spend during the last financial year was Rs37,912 crore, including 3.1 billion pounds (around Rs 31,000 crore) at JLR. Cash and bank balance (including mutual funds) stood at Rs 46,174 crore. Vijay Somaiya, Vice President and Head of Treasury and Investor Relations at Tata Motors, says the company will reduce the debt by some Rs 4,000 crore by August. The automaker will use the proceeds of its Rs 7,490 crore rights issue to retire debt. "The rights issue proceeds are in fixed deposits. 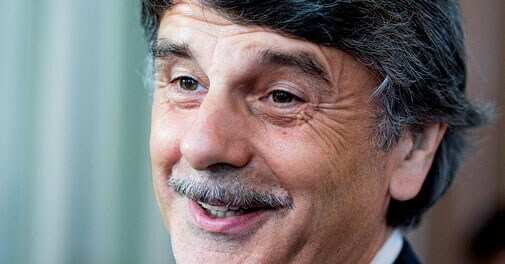 We will redeem the deposits when debt maturity comes up," he says. The Indian unit is also going for product development in a big way. Vinayak S. Bapat, President and CEO, VXL Consulting believes that the bill for the JLR acquisition - the company paid $2.3 billion to Ford Motor Co in 2008 for the British brands - still hurts the Indian business financially. "JLR has enough cash on its books. The Indian unit has also paid for the acquisition. Then, why can't we take back the free cash to reduce the debt?" JLR has a debt of 2.5 billion pounds. However, cash reserves stood at 4.3 billion pounds. In addition, it has undrawn credits to the tune of 1.5 billion pounds. But JLR has ambitious investment plans lined up. It plans an investment of pounds 3.6 billion to 3.8 billion pounds in this financial year to grow its footprint in China, Brazil and Russia, in addition to the European markets. JLR chief Ralf Speth says the company will spend 400 million pounds for manufacturing Jaguar XF and aims to make it a landmark product. "We are ramping up the sales of the new Jaguar XE now. After the XF, 16MY Evoque and F-PACE will be launched in early 2016," he says. "We are using our entire capacity. There is shortage in supply compared to the demand of JLR vehicles. For that we are looking at expansion." After the sudden demise of Karl Slym, former chief executive of Tata Motors in January 2014, Mistry has been spending a substantial chunk of his time and bandwidth in reviving the company and ensuring innovation in technology, design, marketing and after-sales service. The company launched two new products - Zest and Bolt - last year as part of its new strategy. In 2015, it has unveiled a refurbished version of Nano, GenX Nano. The car maker has taken several steps to improve the quality of vehicles as part of its 'HorizonNext' strategy. The manufacturing and engineering processes have changed, asserts a Tata Motors spokesperson. "At Tata Motors, we are in the process of developing multiple new platforms in line with market requirements and constantly working towards improving the performance and reliability of our existing ones. Besides products, we have also developed a host of innovative service offerings, along with various technological upgrades," adds the spokesperson. The 'HorizonNext' strategy, introduced in June 2013, has focused on new launches. Tata Motors has unveiled eight improved and enhanced vehicles across five key brands including Nano Twist, Zest, Bolt, GenX Nano and the Safari Storme Refresh. The launch of Zest and Bolt - designed with inputs from Tata Motors' design centres in the UK, Italy and India (Pune) - has revived the demand for Tata cars and there is consistent rise in month-on-month sales of PVs. In the first five months of this year (January-May), the overall sales of Tata Motors' PVs rose 20 per cent to 64,261 units over the same period last year. Moreover, Mistry wants to continue with at least two passenger vehicle launches every year until 2020. Typically, new models usher growth, says a Maruti Suzuki spokesperson. "In fact, all original equipment manufacturers (OEMs) that brought new models in the last financial year benefited and grew in the market," says the spokesperson. Meanwhile, the Indian unit of Tata Motors has also learnt from JLR. "We learnt processes from JLR but not shared any technology," says Pareek. Speth of JLR points out that the synergy can't go beyond processes because the business and science of luxury cars is completely different from that of mass vehicles. Tata Motors has also introduced Forward Model Quality (FMQ) and Launch Quality Operating System (LQOS) programmes to boost sales. The FMQ team works closely with design and development teams, right from the early stages of the product evolution. The idea is to design a product keeping in mind the changing needs and demands of the end customer. The LQOS process ensures that teams involved in product development, manufacturing, material planning and logistics, partner for steady new products launches. The company claims that the quality and finish of the vehicles improved as a result of these initiatives. Another hurdle along the way is the poor brand perception of the Tata vehicles and needs to be changed. It will be possible only by launching blockbuster products. Historically, Tata Motors has been a late entrant in many categories and missed developing trend-setting products like Scorpio, Innova, Honda City and Renault Duster. Such products will dramatically alter the perception about Tata products, say several brand specialists. Kaushik Madhavan, head of automotive and transportation practice, Frost & Sullivan, a global consulting firm, says there will be opportunities in compact SUV, crossover and sedan categories. The margins are better in these products. Competition will rise in the hatchback segment since new transmission technologies (which control the speed of the vehicle) will play a major role in luring customers. Global carmakers such as Volkswagen and Ford have introduced sporty but expensive dual-clutch transmission (DCT) but Japanese companies Honda and Nissan have opted for the fuel-efficient continuously variable transmission (CVT). "For fighting them, Tatas have chosen the cost-effective and fuel-efficient mass market technology, automated manual transmission (AMT). 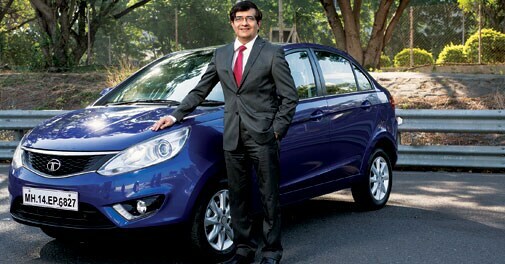 Zest is an AMT machine, while Maruti uses it in Celerio and Alto K-10," says Madhavan. AMT is an auto gear shift technology and is designed for heavy traffic conditions. Batra of EY says modularisation in the architecture of the car is going to be the next phase in engineering. "The areas inside the car are being developed as modules in the developed world. Modularised architecture will save costs as the car maker doesn't need to design it for each product." Tata Motors will benefit from modularisation if the company opts for it, given its large portfolio, say analysts. A customer requires four things from any automobile manufacturer - a sound product, robust build quality, goods sales experience and reliable service support, points out Pareek. "Any player can capture market share in the country if they deliver on these four pillars of customer requirements. After all, market share is but a result of the value proposition of an OEM's products," says Pareek. So, Tata Motors is hopeful of a comeback. Tata Motors plans to build global standard products, as a part of the Horizonext initiative. Zest, Bolt and GenX Nano are part of this strategy. There are several new products in the pipeline including Kite (Hatchback and Sedan), Nano Diesel, Hexa (premium crossover SUV) and Nexon (compact SUV). The company has built a process for improving the quality of its products, says Pareek. "Our processes have changed, materials have changed and the engineering itself has changed." The automaker has decided that the new products will only be available for individual customers and not for fleet operations. Meanwhile, in the CV segment, Tata Motors has had to contend with growing competition from global giants. Daimler and Volvo, the world's top two players in CVs, are trying to find a toehold in the Indian market. Daimler started production in June 2012 and launched its first heavy-duty truck in three months. Volvo rolled out its first truck way back in 1998 in India but has, so far, preferred to compete in the premium category without touching the mass market, dominated by Tata Motors and Ashok Leyland. Tata Motors has managed to prevent a big erosion in its market share. "We are keen to protect our dominance in market share. Today, there are at least eight players in the truck business, while it was two or three about seven years ago. Competition has been coming in. However, our market share has not fallen more than one or two per cent. We are geared up for competition," says Ravindra Pisharody, Executive Director, Commercial Vehicles at Tata Motors. To deal with the competition, Tata Motors is looking to brand commercial vehicles despite a dip in sales of Prima top-end trucks. The economic slowdown impacted demand for trucks in the country. "When the economy slides, the capacity utilisation of trucks will slip drastically. As a result, fleet owners postpone new purchases," says Pisharody. "In CV purchases, everybody takes a loan of 80 to 90 per cent. Since paying instalments is directly related to their monthly income, many customers delayed new purchases to replace the old trucks." The incipient economic recovery, though, is leading to a gradual turnaround in the business environment for CV makers. After more than two years, demand for medium and heavy commercial vehicles (M&HCVs) has started picking up. Light commercial vehicles (LCVs) too are expected to see a revival soon, says Pisharody. In the first two months of this financial year (April and May), the cumulative volume sales of Tata CVs clocked at 55,683 units, compared to 56,215 and 78,610 in the same period in FY 2014 and FY 2013, respectively. Tata Motors is going all out to woo customers. The company has decided that all customer-related concerns need to be resolved by the dealer within 24 hours of any complaint. Indeed, the management is directly monitoring the complaints. "Starting October 2014, we have noticed that the resolution rate has risen from 13 to 65 per cent as of January, 2015," says Pareek. The company has also upgraded over 200 showrooms to leverage technology and provide superior after-sales service. With the new 'Express Service' programme, the service teams have been able to deliver vehicles in 90 minutes, says the company spokesperson. "We have also introduced a new audit system with AC Nielsen for continued tracking and monitoring of the service network. Each service touch point is reviewed at regular intervals in the new audit system," the spokesperson adds. On the supply side, the company has re-worked the logistics management system for speedy spare parts delivery. Tata Motors has also beefed up its distribution warehouse network - it has added a facility in Pune. Other initiatives include national service camps, mobile service vans, driver training schools and focused service engagements for the fleet service. At the recently concluded nationwide service camp, the company received almost 1.2 lakh vehicles for maintenance. "We are helping our channel partners in enhancing their processes for recruitment, training and retention of employees. We have got new-look dealerships. We are also ensuring extensive training of the staff on the use of technology at the dealerships including video walls and new tablet-based customer engagement to ensure best-in-class customer experience," says an official. The company has deployed nearly 4,000 new tablets to ensure that the staff is well-geared to meet customer needs. Over the last two to three years, the company has slowly tried to lay the foundation of a performance-oriented culture. "We go through the whole process of setting targets and evaluating the performance of individuals. This method is becoming more stringent and objective every year. With this process, we continue to strengthen our HR processes and systems to identify, nurture and develop internal talent," says the official. Meanwhile, Mistry has already given the mandate for finding a CEO for Tata Motors. The company has had no CEO after Karl Slym. Mistry has led the company in the past one and a half years. Kavil Ramachandran, Professor at the Indian School of Business (ISB), says Mistry has passed many tests since taking over the mantle of the Tata Group. "He has, with quiet confidence, led the group through the current turbulence. He seems to be focused on consolidation and selective growth." 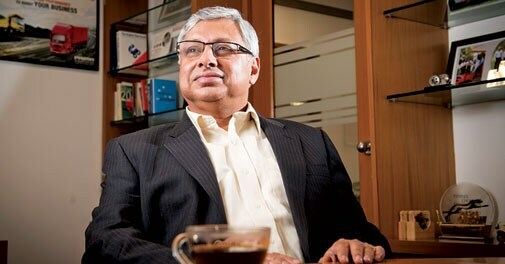 However, putting Tata Motors' PV business back on track is going to be his acid test. Can Marans save their biz from on-going siege?